The House on the Hill Toy Museum is one of our country’s most popular visitor attractions for both young and old. Don’t miss the Rock ‘n’ Roll exhibition celebrating the golden era of the 60’s and 70’s. See our original Wurlitzer Juke Box, rare concert posters and a vast amount of guitars signed by the stars of the time. 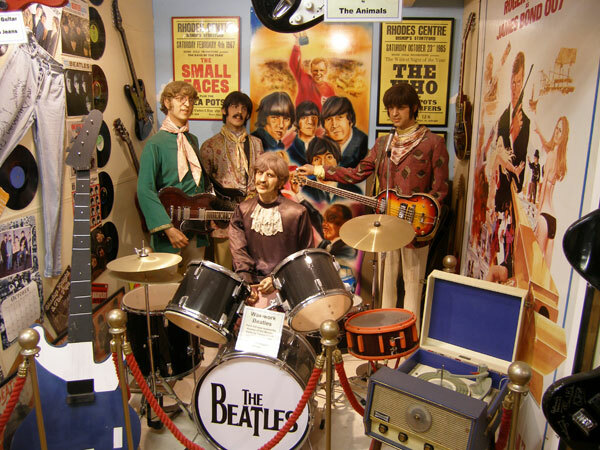 Marvel at the life-size figures of the Beatles, Elvis and even an animated Marilyn Monroe. 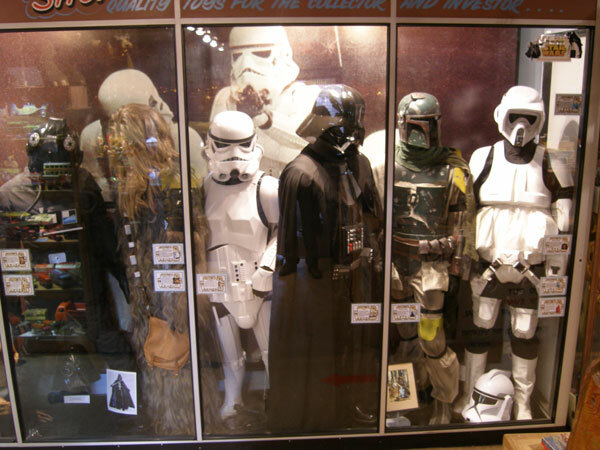 The Toy Museum is full of surprises around every corner. You can enjoy playing on the ‘end of the pier’ amusement slot machines with real old pennies and see the ‘What the Butler Saw’ machines that shocked Edwardian England. View a fascinating display on the 1914- 1918 and 1939-1945 World Wars including the Blitz years and Battle of Britain memorabilia and relics. Stand next to life sized figures of Pirates, Cowboys, Clowns, Terminator and even a giant Polar Bear for super photo opportunities. Did you know we have the only surviving replica of the Royal Crown Jewels in England? And when was the last time you saw a Sinclair C5? A great hands-on and interactive experience. 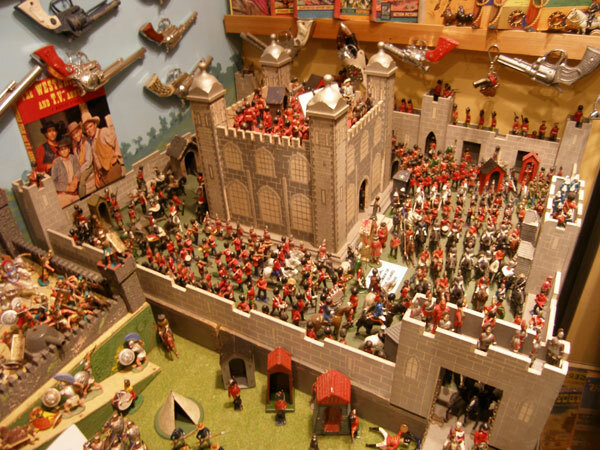 So….don’t forget to visit the Toy Museum whilst here at Mountfitchet Castle. Spookily located within the Toy Museum is The Haunted Manor, if you’re feeling brave enough to walk through the chilling chambers to the bewitched Victorian bedroom then a small extra entrance fee per person applies if you dare! Encounter our life sized dinosaurs on the way to the museum and try your hand at Fossil hunting in our Palaeontology House, can you find the Velociraptors claw?